Exotic! Flights from Spain to Botswana from only €378! Exotic! From Hong Kong to Madagascar or the Seychelles from only $570! Fantastic adventure! Asia, Africa and South America in one trip from London for £884! From Manila, the Philippines to Brazil from $507! Fly from Stockholm to stunning Seychelles for €402 (3871 SEK)! ERROR FARE! From Toronto to exotic Zambia for only $489 / 647 CAD! 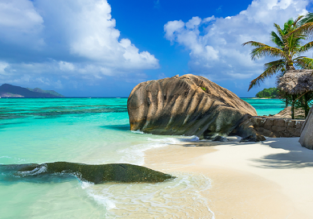 Business class flights from Europe to Seychelles for €1097! 2 in 1: Fly from Stockholm to Kenya and Ethiopia from just €272! From Vienna to stunning Seychelles for €399! Error Fare: From Italy to Brazil for only €252!